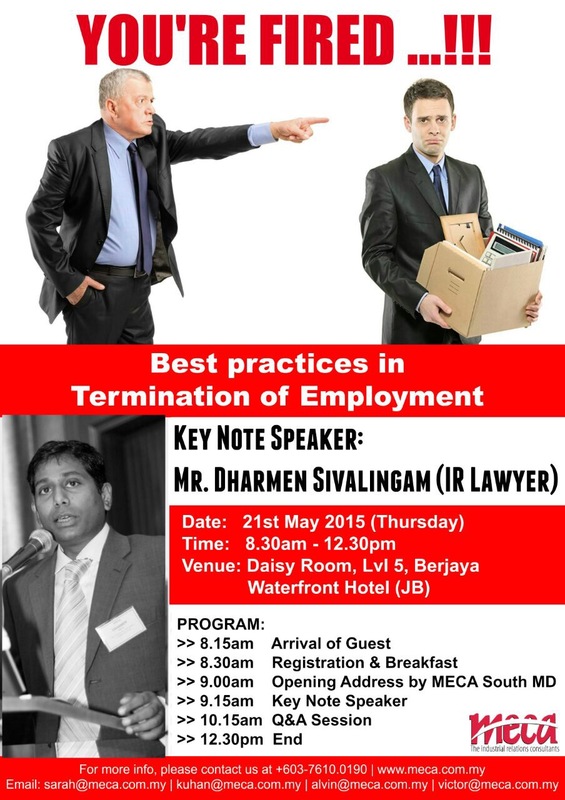 MECA will be organizing a FREE public event in JOHOR this coming 21st of May 2015 at Berjaya Waterfront Hotel where Mr. Dharmen Sivalingam, an experienced IR lawyer and Executive Director of MECA will be speaking on best practices in termination of employment. Participation will be subjected to first come first serve basis as seats are limited. 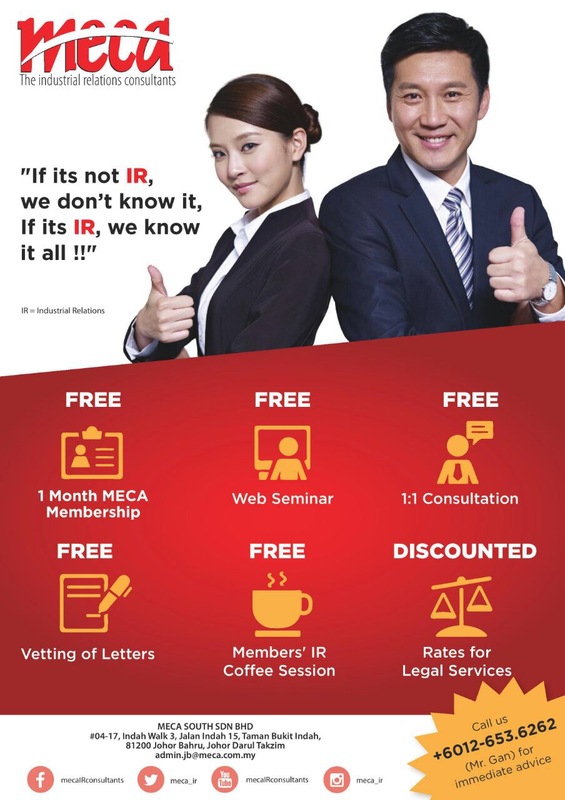 No reason not to attend if you’re in Johor or if you have friends who would need this, spread the joy to your friends too!